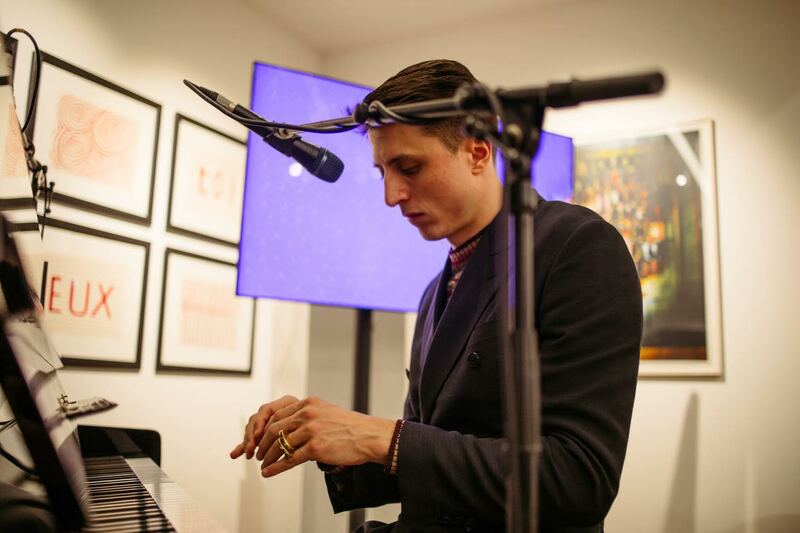 Following Raf Rundell's cover of Sade's By Your Side last week, Gwilym Gold has shared his cover of D'Angelo's The Root which features on the forthcoming DEEK Recordings compilation 'Extraordinary Renditions'. On this performance of the 'Voodoo' highlight, Gold brings the richness of D'Angelo's cadence into his voice with comforting, warm Rhodes notes and handclaps backing the devastatingly vulnerable expression, "I feel my soul is empty, my blood is cold and I can't feel my legs / I need someone to hold me, bring me back to life before I'm dead." Due out at the end of May, the label has already teased Jesse Hackett’s deliciously churning cover of Captain Beefheart’s Dropout Boogie. Ripe with anticipation, DEEK will also gear up for the compilation’s release IRL with an extra-special Dummy Presents on May 25th, featuring live renditions in the Ace Hotel basement courtesy of Raf Daddy, Laura Groves, Never, Nilufer Yanya and a few surprise additions. Listen to Gold's cover of The Root below and RSVP for Dummy Presents: DEEK Recordings on May 25th at Miranda, Ace Hotel London here. DEEK Recordings will release 'Extraordinary Renditions' on May 25th (pre-order).